What does it mean to physically be homeless? What does it mean to feel spiritually homeless? Those questions were the foundation of our Homeless Lock-In April 13th. Our DUMC Youth explored what it means to be homeless, and how there are students within their schools who don’t have a place to call home. Eyes were opened to the fact that 17 out of every 10,000 people don’t have a roof over their head… and that is just the people we know about. 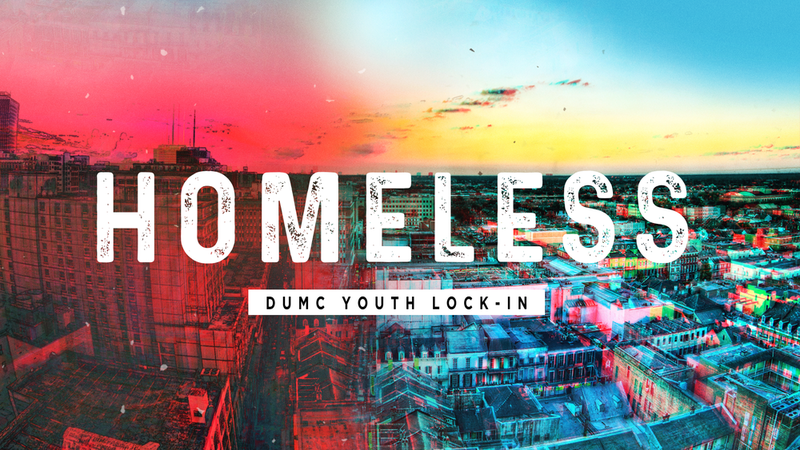 There are approximately 1,000 students, the same age as our DUMC Youth, that are homeless. During the lock-in we worked on two service projects to assist with homeless prevention in our community. In partnership with UMCOR, United Methodist Committee on Relief, we made 24 hygiene kits. The kits will be used in response to future disasters that displace people. The simple items included in these kits will make a huge difference in the life of someone who has lost everything in a disaster. Our second project was closer to home. In Anne Arundel County, Light House Shelter in Annapolis, is paving the way for homeless outreach. Their shelter and work programs help hundreds of people every day. From making sure people are fed, providing a roof over their heads, clothing people, and even providing job training and equipping them with skills to be successful. Lighthouse Shelter is a great resource for those in our county who are struggling with homelessness. In support of this ministry, our DUMC Youth, went on a Grocery Scavenger Hunt at our local Giant. They competed in teams to each stretch $50 while purchasing goods to be donated to Light House. It was fun and service wrapped up in one! It can be easy to identify people that are physically homeless. What is harder to identify is when we we feel “Spiritually Homeless.” In life, when things get tough… it is easy to feel distant and separated from God. We talked about how life deals us a set of cards. We can’t choose what cards we are given. Some cards we love… they bring us joy and we celebrate them. Other cards we don’t like as much… they bring us pain and we try to hide them. Approaching Easter it was a great reminder of the sacrifice Jesus gave for us. Because of what He did for us on the cross, we don’t have to carry the burden of our set of cards alone. Jesus is there to ease the pain and lighten the load. to symbolize Jesus taking away the pain of the cards we struggle with in life, our students wrote down those things that have been a burden on playing cards, and nailed them to the cross. This small act, was a huge thing for our students. Though it was done at a youth event, this exercise is something we all can relate to. What burdens are weighing heavy on your heart? As we approach Easter, what burdens can you leave a the cross? And of course, it wouldn’t be a true DUMC Youth event without TONS of delicious Food, TONS of Fun, and TONS of Fellowship. It is events like these, when we are staying up late, playing ridiculous games, that we grow closer in relationship with each other! 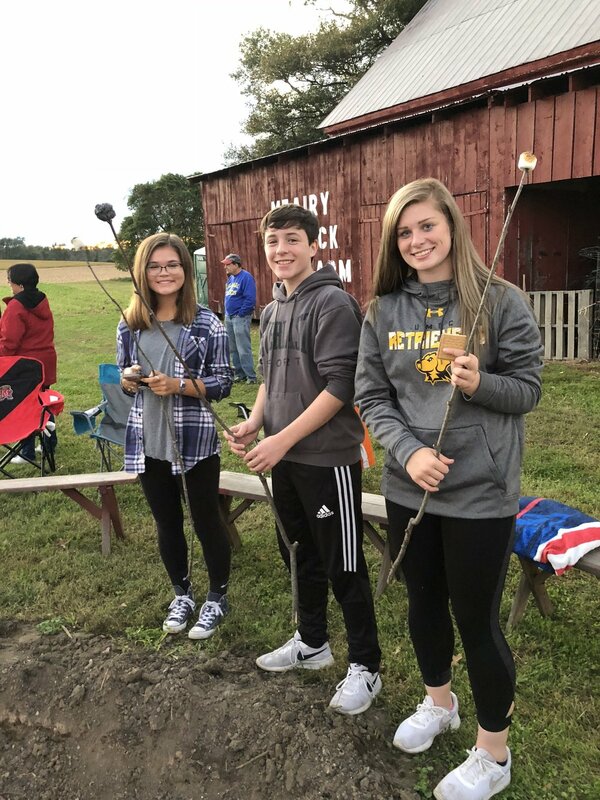 During the lock-in we played Easter themed games like “Put the Bunny in the Box” and “Peep Toss.” If you’ve never thrown Marshmallow Peeps at your friends… you don’t know what you are missing! Every other month we publish our church newsletter, the Lamplighter. Inside you will find reports and articles from all of our recent missions and ministries; as well as announcements of what is to come! Click the button below to see our April Lamplighter! Every other month we publish our church newsletter, the Lamplighter. Inside you will find reports and articles from all of our recent missions and ministries; as well as announcements of what is to come! Click the button below to see our February Lamplighter! Every other month we publish our church newsletter, the Lamplighter. Inside you will find reports and articles from all of our recent missions and ministries; as well as announcements of what is to come! Click the button below to see our December Lamplighter! 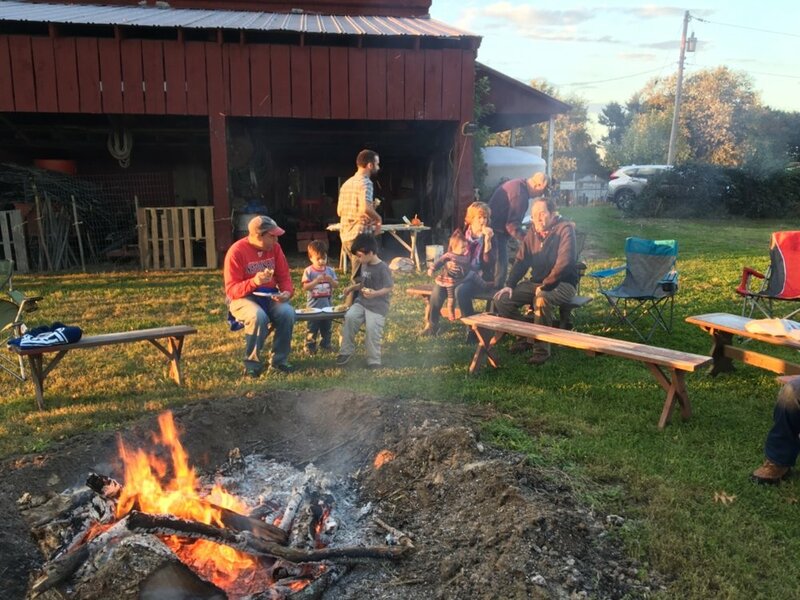 Every year the Education Committee hosts a church-wide Fall Bonfire for everyone at Davidsonville UMC. The Hopkins family graciously hosts us on their farm, Mt. 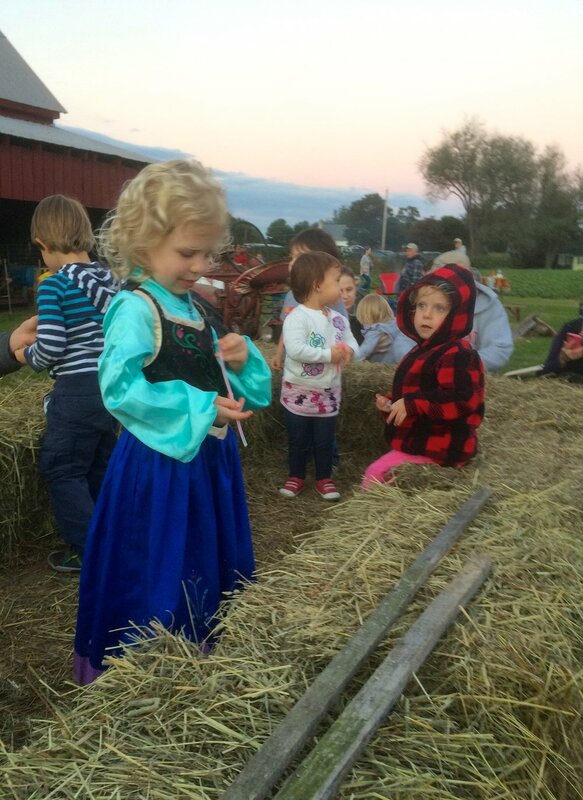 Airy You-Pick Farm, in Davidsonville. 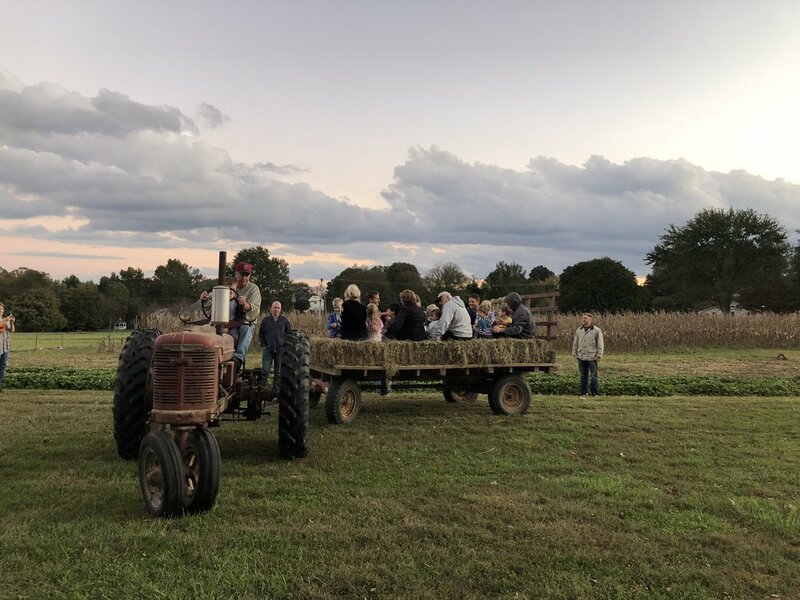 It is a fun evening of food, fellowship and fall activities. Every other month we publish our church newsletter, the Lamplighter. Inside you will find reports and articles from all of our recent missions and ministries; as well as announcements of what is to come! Click the button below to see our October Lamplighter! Countless volunteers from Davidsonville UMC spend 2 weeks preparing for our Annual Peach Festival! We spend a day making Peach Jam, a evening making Peach Cheesecakes and our biggest day preparing over 200 Peach Pies! Every other month we publish our church newsletter, the Lamplighter. Inside you will find reports and articles from all of our recent missions and ministries; as well as announcements of what is to come! Click the button below to see our August Lamplighter! Unity. The theme for our February 11th Youth Sunday was lived out before our very eyes. In a world that is so overcome with division, it is such a joy to see a body of believers, a group of young people unite together and lead our congregation in worship! Our students served in various areas within our Sunday morning service. Tyler helped design our slides and ran our tech booth; Colin served as our usher for the day; Hailey designed our bulletin cover, led our call to worship and sang on the praise team; Katie led us in prayer and sang on the praise team; Bri sang on the praise team, taught our children's sermon and shared a testimony from the ROCK retreat; Dane sang on the praise team, read the scripture and shared a testimony from ROCK; Noah D. joined our praise team and played drums; Noel collected the offering and led us in prayer; Zach join our praise team on the keyboard; and Jenna join our praise team on bass and led us in our benediction. We have some incredibly gifted students and it is such a JOY to see them serving the church in areas that they are gifted and passionate about.